By entering the Ladbrokes promo code, new users can choose from a selection of many special betting & gaming offers, including Bet £5 Get £20 on sports, casino bonuses and more. What can I get with the Ladbrokes promo code 2019? Note: code is valid from 01/01/2019 to 31/12/2019. 18+. New players only. Min bet £10 on qualifying games. 40x wager reqs (bonus only) on selected games. Bonus valid for 30 days. Certain deposit types (i.e. PayPal) excluded. Bets covering >70% of Roulette table excluded. T&C's apply. 18+. New customers only. Certain countries only. GBP, EUR & SEK only. Min deposit and spend £10 on Bingo within 7 days of reg. Bonus for Bingo only. 2x wagering req apply. Bonus valid for 7 days. T&Cs apply. What Else Can You Play on Ladbrokes? Once the bet is settled, you’ll get your four free bets. You must make a wager within 14 days of opening your account. Wagers made after this will not be eligible. Offer is only available online. You cannot claim through telephone betting or in Ladbrokes retail shops. In order to qualify for the Free Bets your first bet must be placed on odds totalling 1/2 or over. Now that we’ve gone through the basics of the promo code, here’s a look at what Ladbrokes can offer you. For new punters, the markets are varied and the site is easy to use. Punters who want to use their matched bet on football are in luck, Ladbrokes offer one of the largest selections of football markets around. Users can wager on matches from 45 different countries, ranging from England and Spain all the way to Qatar and the Sudan, should you ever fancy a flutter on the Sudanese Premier League. There are also European and International markets for club and country competitions. There’s also a range of In Play options so you can experience in-the-moment betting, with regularly updated odds. Ladbrokes always have a range of special markets for football fans to have a flutter on. These bets are usually topical, and often focus on managers and individual players. Before Brendan Rodgers was shown the exit at Liverpool, the operator ran a special for punters to predict his successor, with Jurgen Klopp as the favourite. The free bets Ladbrokes promo code can be used on these markets, meaning new users can place their free bets on any of the specials. Aside from the promo code we’ve featured, punters can choose from extensive football betting options in the form of “coupons”. Ladbrokes football coupons give users the chance to make the most of a variety of promotions, which apply to a selection of upcoming games from a range of leagues. Available matches are chosen from England, Scotland, Spain, Germany, France, Italy and Holland. Certain bets can qualify for money back on losing bets, or special accumulator bonuses. Check out the Ladbrokes website for up to date information. The good thing about these betting coupons is that it makes the process nice and simple. The categories are clear as well as diverse — you’ll find just about any football match you want to bet on. Aside from football betting, users can wager on over 30 other sports, all with their own set of markets and, on the larger sports, specials. There are also a host of other sports for punters who want to wager on niche sports, such as floorball, futsal and darts. And if you fancy a change, there’s also non-sport themed betting including politics and TV shows. The promo code can be used anywhere across the sportsbook, giving new users a huge range of first-time betting options with the operator. We’ve looked at what you can find online for sports betting, but there are plenty of other options if you want to branch out. For casino fans there’s lots of choice: a Vegas room with plenty of jackpot games, Bingo and lotto games, various Poker games and a virtual world of live casino gambling. Here’s an in-depth look at the Poker room. The operator caters for both Poker novices and advanced players with several types of games and tables available to join. You’ll find Speed Poker, Multi Table Poker, Texas Hold’em, Sit and Go games, and cash tournaments. If you’re new to the site, there’s a series of useful tips and blog forums where you can learn some tricks. And once you get your game up there’s various cash prizes and loyalty rewards to be found. For the high-rollers there’s a VIP club with higher stakes and bigger rewards. If you want access to the Poker room whenever you want, there’s an app you can download. Available for iOS and Android devices, the playing experience is seamless from the main site. Most of the games you can find on Labrokes.com are playable through the application. There’s a safe and secure withdrawal process too. New players to Ladbrokes will be eligible for a welcome bonus of 200% up to £1,200. How does the bonus work? In order to access your bonus the operator works on a points system. You can earn these status points simply by playing at cash tables and in any Ladbrokes tournament. For every 170 Status points earned they send $5.00 straight into your account. Take note, if you’re playing in euros then the bonus rate shifts to 240 points for €5.00. The operator’s promo code can also be used through Ladbrokes’ mobile applications. 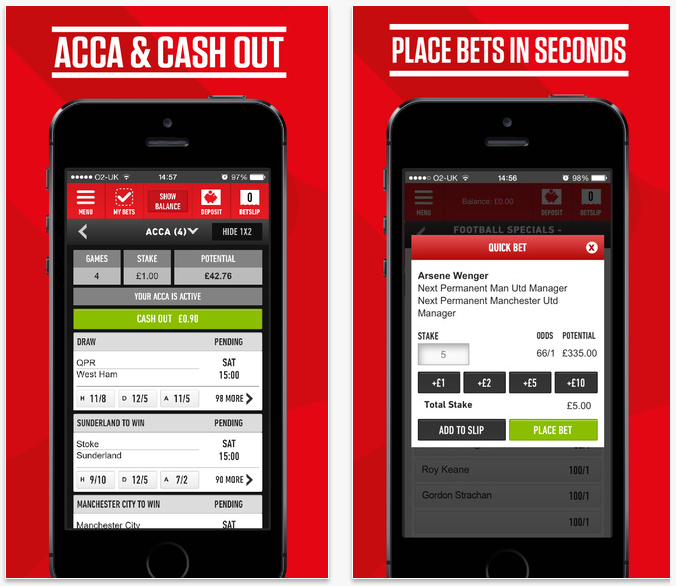 Ladbrokes has several apps to its name, and they are available on iPad, iPhone, Android and Windows devices. The apps are 100% free to download and offer the same benefits and fun as the desktop version. The markets are separated into definite applications, making it easy to choose what you want to play. Lotto: bet on draws from 49’s, Irish Lottery, Euro Millions, UK National Lotto, Spanish Lotto, New York Lottery etc. Note: The Ladbrokes promo code is valid for users registering via any of Ladbrokes’ mobile apps, regardless of the device. Still not convinced Ladbrokes is for you? Check our comparison between them and William Hill for an in-depth analysis. Ladbrokes vs William Hill: which one to choose?